1995 would see the war of the “comic book game based on major events”. In the corner of Marvel you had Maximum Carnage from LJN, and representing DC was the Death and Return of Superman from developer Blizzard and Publisher Sunsoft. 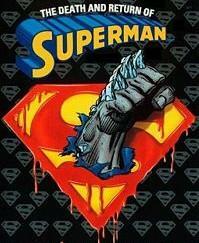 The Death and return of Superman (DAROS) is a beat-em-up that recounts the events of the Death of Superman and Reign of the Superman that ran from 1992-1993 in the Superman comic books. Whereas Maximum Carnage used select panels from the comic series to connect the events between levels, DAROS simply gives exposition in the form of a static image and text to move the story along. DAROS is a pretty standard basic game to break down: It’s of the school of other games in the genre at the time where you move from left to right clearing out waves of repeated foes until you reach the end of a stage and fight a boss. While some games of that type stand out, efforts from Konami like Batman Returns, Turtles in Time and X-Men come to mind, DAROS is pretty forgettable. The enemies types repeat themselves, the levels are cut and paste and the music is nothing to write home about. Though props should be given to the developer for breaking up some of the monotony by throwing in scrolling shooter levels reminiscent of games like R-Type. 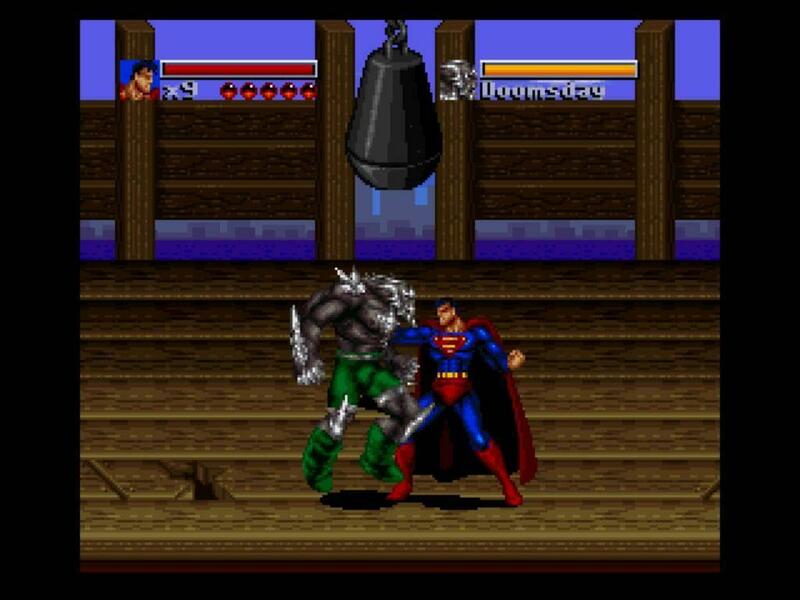 Throughout the game you take control of four different Supermen for story reasons: Superman, the Cyborg Superman, the Eradicator, Superboy and Steel. With four different characters to play as, it would’ve been an opportunity to make each character distinct but other than Steel attacking with a hammer, each character plays exactly the same. As each Superman you can attack and throw enemies, jump and fly, stun with an energy attack and use a screen clearing consumable item. There’s nothing particularly wrong with the Death and Return of Superman, but it doesn’t particularly stand out in this genre other than it has a Superman coat of paint. That, and it’s baffling to see Superman get taken out by a punk with a chainsaw, if anything the chainsaw should break! Nice review. It was a bit fairer than mine. I didn’t like this at all. I thought it was just bland and uninteresting. that’s fair. It is a bit shallow, but then most beat-em-ups are. My brother has a love of the Superman character that has made the character grow on me.